10,000 things we should think about when designing. 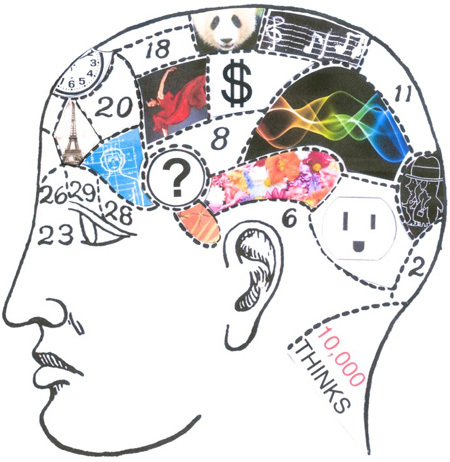 When we are thinking about designing something, we seem to be thinking about 10,000 things at once. This may sound confusing to those who don’t design, but to us that do, I think you understand. Designing something whether it is a product or service or a space is enormously complex and it seems to be getting more complex everyday. I’m interested in trying to understand how we originate ideas and then how we teach someone how to originate ideas. It seems to me that there are millions of ways to be creative, but how to concentrate our energy always seems to be elusive. Most educators want you to focus, but my feeling is we all want to be unfocused and open to many forms of stimulation so that ideas might occur to us. The general story about creating an idea revolves around someone just walking along a beautiful country road or sandy beach as the idea just struck from out of the blue. I think this is probably more true than not. It’s the hard work after the idea occurs to us that is generally remembered, only because it’s so painful. The following 43 suggestions, of a possible 10,000, are a start at creating a list of criteria that might help in creating syllabi that integrate almost everything we should be touching on in each class. I refer to them as exercises, because that’s what the students should be doing. Exercising every part of their body & mind to become the best designer they can be.